As you are building word-smiths and encouraging them to utilize stronger word choice in their writing, consider creating a place for students to log those better words. 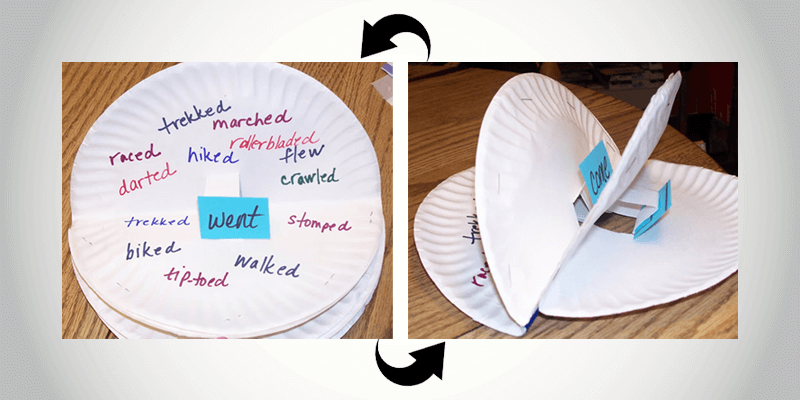 With a little tape, some staples, and several paper plates, Theresa Fulton's second graders at Judge Haynes Elementary (Portland, IN) created their own word-popping thesauruses. Each student has his own and keeps it handy on the inside of his desk. They are extremely durable and can easily be added to throughout the school year. Second grade teacher Nicole Workman at Reagan Elementary (Brownsburg, IN) wrote a collection of overused, boring words on the plastic pouches of a hanging shoe organizer. She then wrote stronger synonyms for each word on Popsicle sticks and placed them inside the corresponding pockets. Nicole's students now use the display while writing. They pull out the Popsicle sticks and review their choices whenever they are tempted to use a boring word. 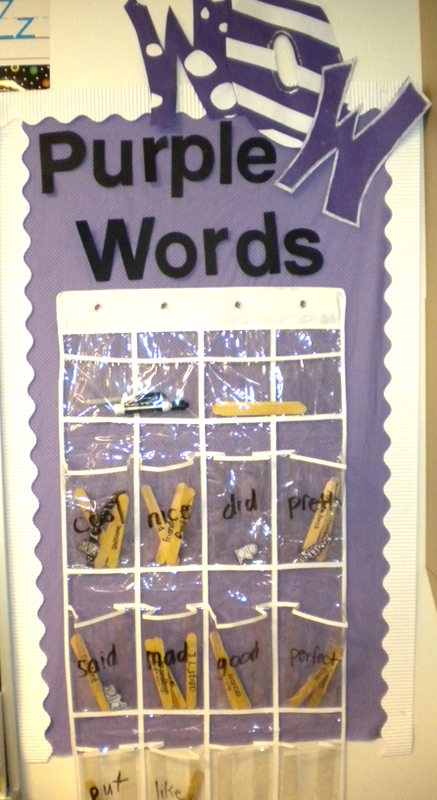 And of course, Nicole made sure that the display is purple to encourage purple words. What a great way to make word choice more hands-on and tangible for writers. Thanks for the creative idea, Nicole! 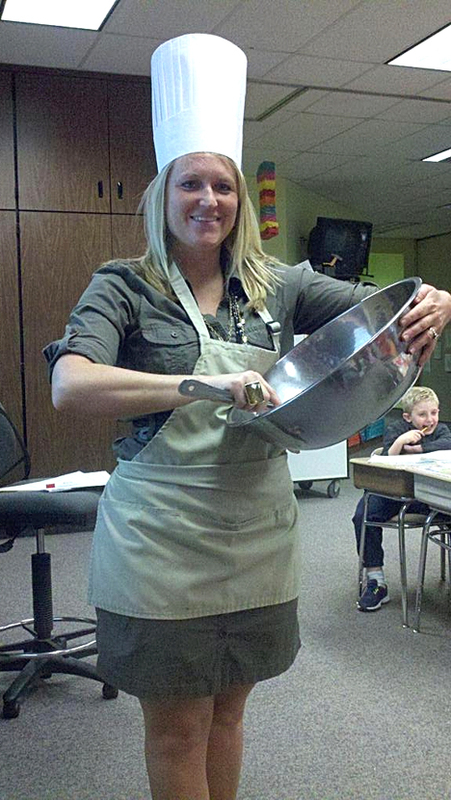 First-grade teacher Kim Kesler is whipping up some "Synonym Rolls" with her students at Ouabache Elementary (Terre Haute, IN). Young writers then cook up some good decadent word choice. 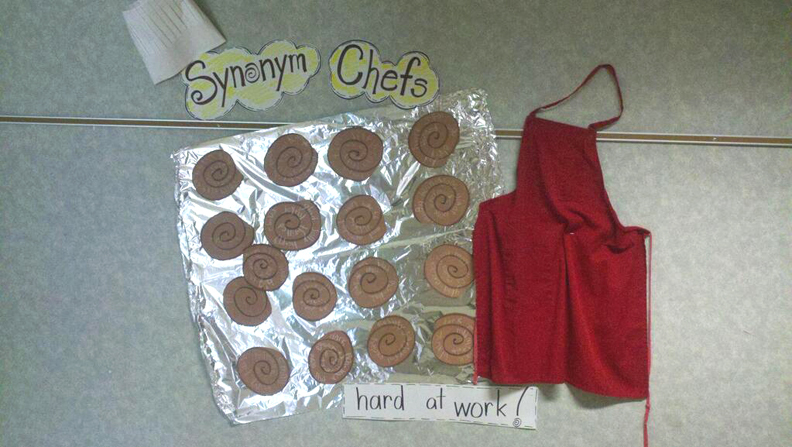 Kim is creating Synonym Roll Chefs! Love yummy word choice!